Arrival is the new sci-fi First Contact movie directed by visionary director Denis Villeneuve and stars Amy Adams as Dr. Louise Banks, a linguist recruited by Colonel Weber (Forest Whitaker) of the U.S. military to help communicate with newly arrived aliens. These aliens arrived on Earth in twelve giant spaceships that have taken up spots around the world and no one is able to communicate with them. What is at stake are rising tensions and paranoia due to the aliens’ arrival. As world powers grow more and more trigger happy, it’s up to Banks to find a way to break through the insurmountable language barrier between the two races before it’s too late. In film, the First Contact scenario isn’t anything new and Arrival echoes aspects of past sci-fi films in this subgenre like Contact, Close Encounters of the Third Kind and The Day the Earth Stood Still. 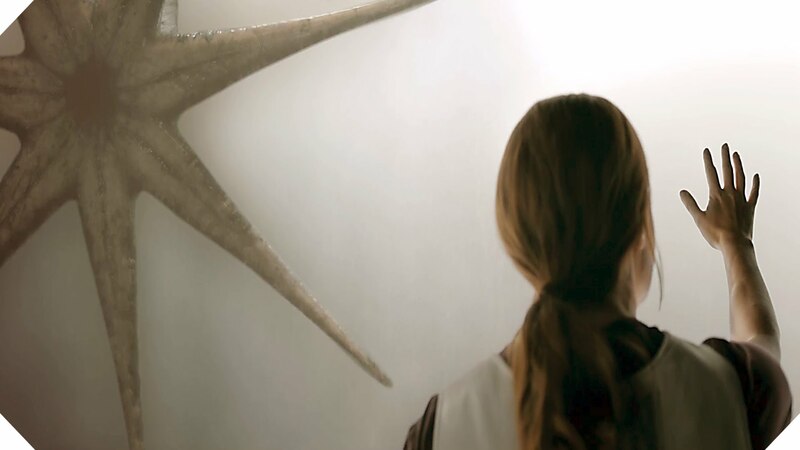 Arrival also borrows elements from films such as Signs and Interstellar in regards to the worldwide reaction to alien arrival and head-spinning scientific concepts. What sets Arrival apart from other films in the subgenre is its mature tone and exploration of the hurdles humanity would face in this scenario. These beings that have come to Earth are genuinely alien. Without spoiling their appearance, what can be stated is that they aren’t the standard humanoids with bumpy foreheads. In fact, their appearance belies the fact that they came from an environment totally unlike Earth’s and that was quite refreshing to see. Also welcome, was that the focus of the film was not on alien invasion with evil E.T.s and heroics from the military. Rather the fundamental dilemma, the driving force of the film is how can we communicate with beings from a completely foreign environment without any relatable frame of reference. It is bad enough that we have trouble communicating with each other so how can this be done in a First Contact situation without leading to war? Instead of going for pyrotechnics, Villeneuve sticks with this concept and the result is a slow burn of a film that delivers so much food for thought, especially in the final act. It’s a thought-provoking and wondrous journey thanks to Villeneuve’s careful direction and the cinematography. Every frame is carefully and beautifully staged to tell a story in a visual sense that quietly engages the viewer, while telling a personal story about Banks. Adams gives one of her best performances as her character feels the enormity of her task since she sees all around her the consequences of her failure to properly translate the aliens’ language. Without giving anything away, the last third of Arrival ramps up the tension while bringing forth high-brow concepts of non-linear time and how we perceive time in general. 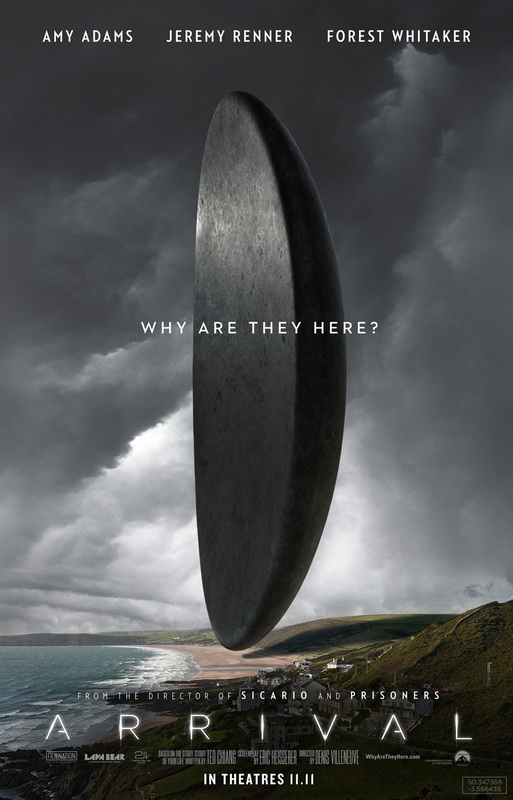 It should be pointed out in reference to the film’s tagline of why they are here, although this question is on the mind of many characters, the answer isn’t dwelled upon. Instead, the emotional climax of the film is on Banks herself and her own personal story, which has relevance to humanity’s plight in trying to establish a dialogue with the aliens. For some, Arrival may be too slow moving, but it has a satisfying payoff for the patient viewer who does not go into the film expecting pyrotechnics or shoot-em-ups. This film is more serious and weighty without being pretentious. 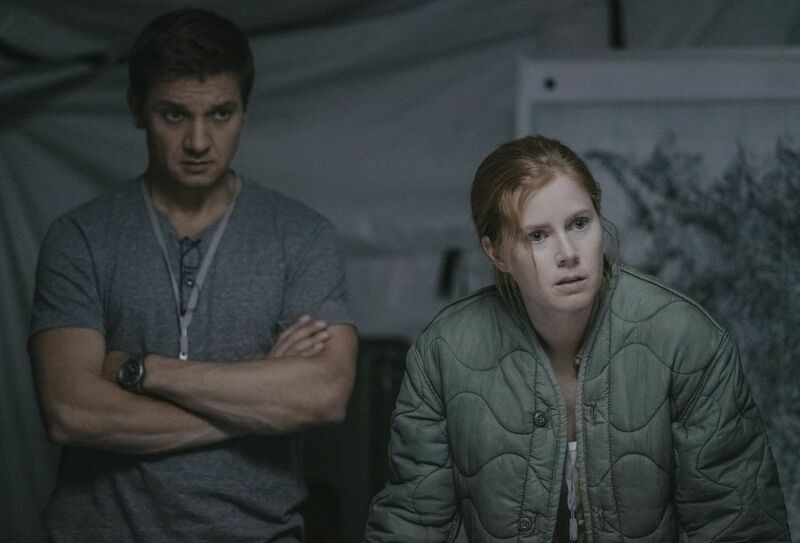 There is much to recommend about Arrival, from the performances from Adams, Whitaker and Jeremy Renner as Ian Donnelly, a physicist helping Banks, to Villeneuve’s strong directing and the visual look of the film. But the script by Eric Heisserer, which is adapted from the award-winning short story by Ted Chiang called “Story of Your Life”, is to be commended as well for taking audiences into unfamiliar territory and in examining how a First Contact situation between us and extra-terrestrial might actually play out. It’s very tense and gripping, even when it seems to not really be going anywhere. Nice review.